Experience the thrill of traveling to Sangara Falls via kayaking and trekking in this tour! What most people forget about Japan is that there's more to it than Tokyo, Kyoto, and Osaka. Go off the beaten tourist path and choose Sangara Falls on Iriomote Island instead. These majestic waterfalls are a must-see when on the island, but getting there will definitely test your physical limits. Join this guided kayaking and trekking experience for a memorable journey to one of Japan's most frequented natural attraction. Book your flight to Ishigaki and make your way to the port, where your Iriomote ferry awaits. 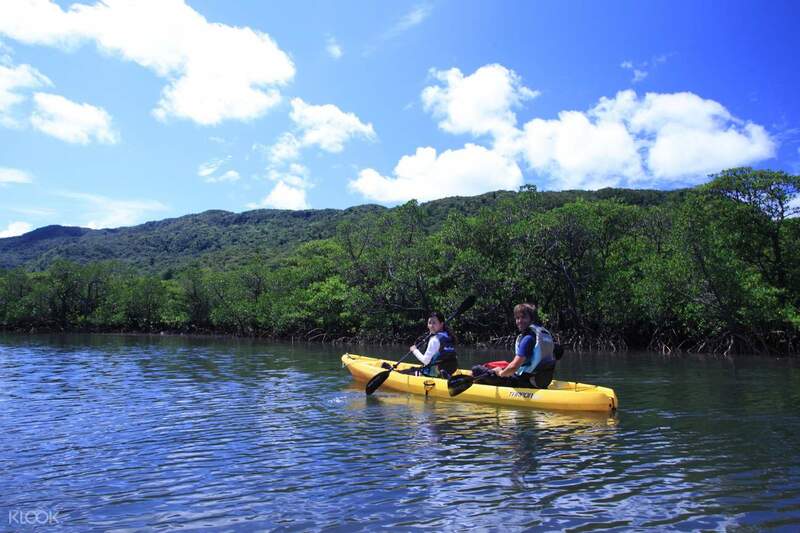 Sail past the blue seas and travel to Uehara Port, and from there you'll be transferred to the kayaking center. Once there, listen carefully as your kayaking instructor relays the rules and the safety measures of the tour. Gear up and hop on a kayak when ready, and start the heartstopping trip to Sangara Falls. 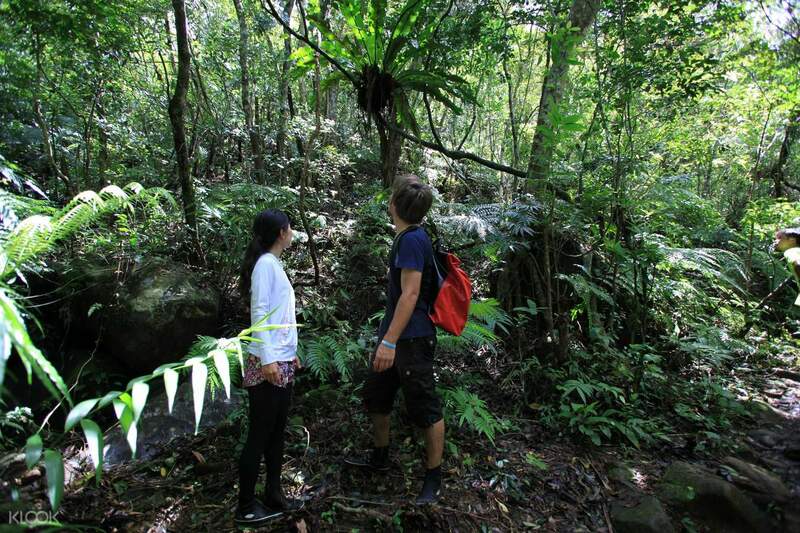 After 30 minutes, continue the tour by trekking through the thick forest of the island. Spend another 30 minutes walking until you reach your destination. 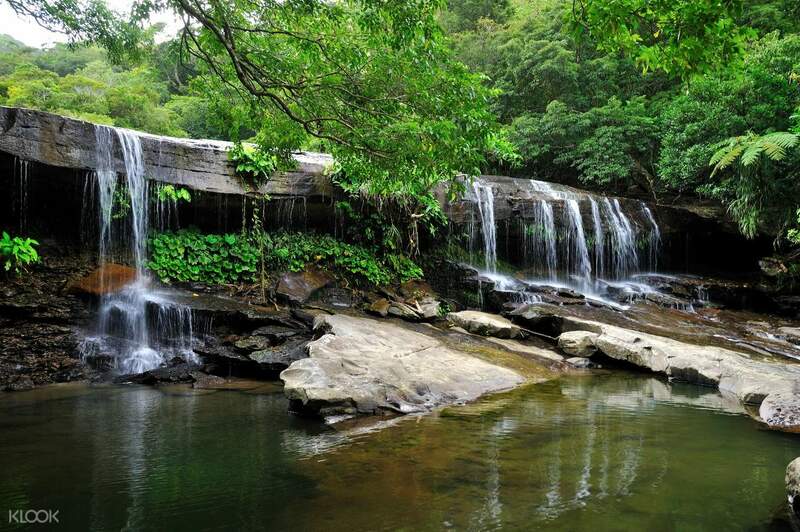 Be amazed by the serene beauty of Sangara Waterfalls and relax by its shores while enjoying your picnic lunch. Head back to the center to shower and end the tour with a ferry ride back to Ishagaki Port.